The feud is over Ranajagjitsinha's father Padamsinh B Patil being accused of murdering his cousin Pawanraje Nimbalkar, the father of Omraje. The Nationalist Congress Party (NCP) on Friday fielded Ranajagjitsinha P Patil as its candidate from Osmanabad where he will lock horns with his cousin and bitter family enemy Omraje Nimbalkar of the Shiv Sena. Patil’s father and former NCP MP Padamsinh B Patil was accused of the murder of his cousin and senior Congress leader Pawanraje Nimbalkar, the father of Omraje. Padamsinh Patil was arrested by the Central Bureau of Investigation (CBI) for the 2006 murder and the verdict in the case is expected shortly. Patil also happens to be a nephew of former Deputy Chief Minister of the state Ajit Pawar. 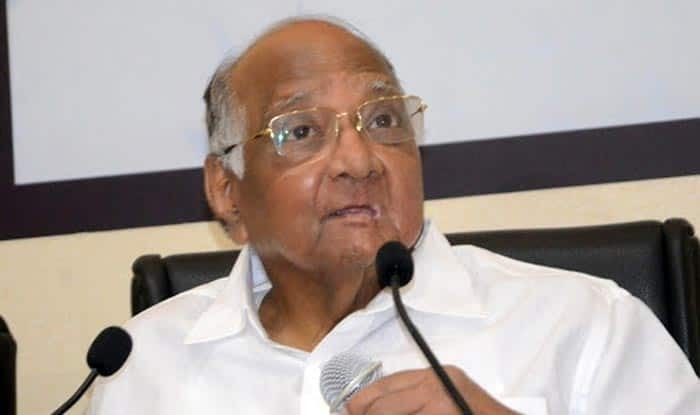 NCP President Sharad Pawar’s announcement of Patil’s name at a rally in Baramati was greeted with loud cheers and bursting of crackers in Osmanabad and Pune. Pawar also announced the name of Sanjay Shinde as the NCP candidate from the crucial Madha Lok Sabha seat, which came under the limelight recently for various reasons. A veteran politician and close confidante of the Pawars, Shinde is a staunch political rival of the prominent Mohite-Patil family of Madha in Solapur district. Last week, after the NCP did not nominate either the sitting MP Vijaysinh Mohite-Patil or his ex-MP son Ranjitsinh for the Madha seat, the latter switched to the Bharatiya Janata Party (BJP) and is hopeful of getting a ticket. “We are not in a rush to take (disciplinary) action against anybody. The name recommended by Vijaysinh for Madha has also left the party. We are going to the elections with a clean slate,” Pawar said. He also stated that while the NCP had “no dearth” of suitable candidates, the BJP has been giving tickets to outsiders. Earlier, the BJP was bound by certain ideological considerations, but not anymore, said Pawar as he reiterated that the National Democratic Alliance (NDA) would not return to power.